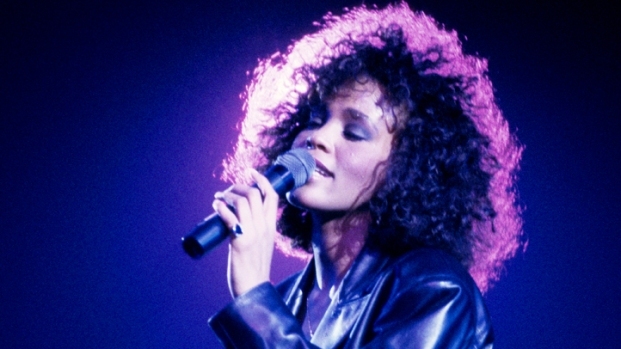 Whitney Houston was poised to return to the silver screen with her first major mation picture in 16 years. While everyone involved is no doubt saddened by Houston's tragic demise on Saturday, the studio plans to more forward with the film's release. Houston has a supporting role in the upcoming remake of "Sparkle," the 1976 film about a trio of singing sisters, loosely based on The Supremes The film stars former "American Idol" winner Jordin Sparks, Carmen Ejogo and Tika Sumpter. Houston plays the girls' mother. "Like all those who knew and loved her, we are shocked and saddened and the world has lost an incomparable talent. Right now our thoughts are with her daughter, her family and her friends," Sony Pictures spokesman Steve Elzer told The Hollywood Reporter. Houston also lent her talents to the film's soundtrack, singing the gospel standard "Eyes on the Sparrow," and doing a duet with Sparks on a new song by R. Kelly called "Celebrate." They were the final recordings of Houston's life, according to Billboard. Houston previous film was "The Preacher's Wife," a remake of the 1947 film "The Bishop's Wife." The soundtrack featuring Houston went on to top the Gospel charts for 26 weeks, selling more copies than any other album in the genre's history. "Sparkle," directed by Salim Akil ("Jumping the Broom"), also stars Derek Luke, Mike Epps and Cee Lo Green, and will open Aug. 17.